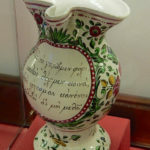 ”Popular luxury between East and West: A case-study of Italian ceramics and Ottoman Greeks in the long 18th century”, presented during the International Conference Connections in Commerce and Consumption: Production, Distribution and Consumption in Britain and Europe, 1500-1800, The University of Sheffield, 15-16 September 2017. Recent scholarship on Western Europe during the late 17th and the 18th centuries emphasizes the changing consumer patterns and new attitudes related to a range of products described as semi-luxury or popular luxury. For such products, destined to wider segments of the population, cheapness, design, fashionability and pleasurable uses were more important than durability and intrinsic value. Furthermore, consumption was entwined with an individual expression of the self. Echoes of these developments reached the Ottoman Empire primarily through travelers and merchants. In 18th century Ottoman-dominated Greece, various examples of pleasurable or fashionable objects reflected on a material level the rise of the new mentalities. Joie de vivre, pursuit of novelty and self-fashioning were connected to the wider phenomenon of the Neohellenic Enlightenment, the intellectual and social expression of the Age of Enlightenment among Greek populations. 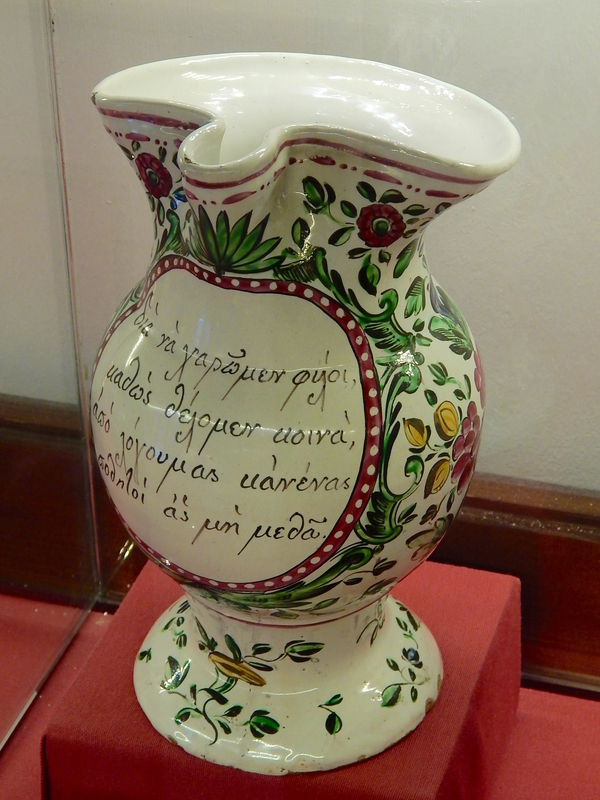 In this context, the paper discusses a specific case-study, the ceramic trefoil jugs with Greek verses manufactured in Pesaro (Italy) in the late 18th century by the firm of Casali and Callegari and its successors. These jugs follow a pre-existing formal typology and are decorated with floral and other patterns; their particularity lies in the fact that they are also inscribed with verses of moralistic or satirical content written in Greek. The jugs were produced following commissions by wealthy individuals from northwestern Greece, a region boasting centres of commerce, wealth and education of an emerging middle class. The latter consisted mainly of merchant families who enjoyed a prosperous lifestyle, despite the limitations imposed to them as subjects of the Ottoman Empire. The economic power of this rising Greek bourgeoisie was combined with deepening ties with Europe, with intellectual growth, and with the strengthening of a distinct identity. The jugs are discussed as material expressions of this emerging middle class; their commissioners may be perceived as knowledgeable and proactive consumers exhibiting a growing confidence and indeed a new awareness with strong political connotations.